We all know that living under the South Mississippi sun can take a toll on a car and its paint job. Here’s 10 of my favorite summer car care tips to keep your vehicle looking great and lasting longer. These are especially important for those who don’t have the luxury of owning a garage. 1. Wash your car frequently. Try washing it in the evening , out of direct sunlight…. let the car’s metal body cool off. 2. Buy a chamois to hand dry it…don’t use old towels to dry your car…you’re just asking for it to leave a scratch. 3. Use a high quality wax, cheaper silicone based car wax will make paint touch ups in the future impossible and will tamper with the car paints natural oils. Again.. washing and waxing in the evening hours lets the metal cool off and allows the wax to properly adhere to the car body. 4. Hot weather heat takes a toll…. check your fluid levels. When it’s hot outside, the fluids in your car can get used up more quickly than normal. Hey…evaporation happens! 5. Running systems like the air conditioning when it’s hot outside, places a higher load on your car’s battery. Test your battery and charging system periodically. 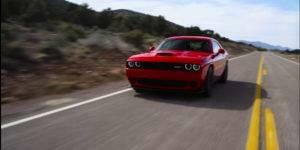 Our Battery and charging system check here at Champion Chrysler Dodge Jeep on 435 East Pass Rd. is a fraction of the cost of a tow. 6. Check your air filters… mildew, dust and debris in the air during the warmer months can clog the air filters in your car. Your gas mileage goes down, and can damage your air flow sensor, which regulates the air and fuel levels in your engine. 7. Think about your parking spots. Choose shade if possible…not always the closest choice but you’ll be protecting your car AND your figure at the same time. 8. Get those goofy fold-out windshield panels you see at the store. These pay off in the long run. They are proven to keep the temperatures inside a car at least 15 to 20 degrees cooler and keeps those nasty UV rays from bleaching out the interior of your car, keeping the resale price of your car high. 9. Trapped hot air, and rubber can be a volatile combination, under inflated tires and a hot road are a danger. Keep tires properly inflated for safety and watch your gas mileage increase!! 10. 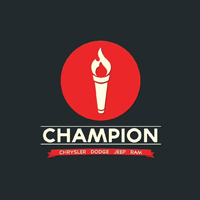 When buying a new vehicle here at Champion Chrysler Dodge Jeep, check into our Appearance Protection Package. Its a combination of paint sealer and paint protector…its helps keep your vehicle looking new and that in tern keeps the resale price high on your investment! Think Smart and enjoy our beautiful Gulf Coast safely!